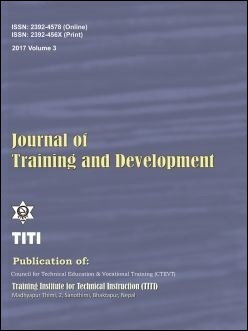 In this study, I pursued to gain an in-depth understanding on vocational education and training (VET) of injecting drug users residing in rehabilitation in Kathmandu valley. Two rehabilitation centers that accommodate institutionalized injecting drug users were purposively selected for the study in which six participants voluntarily participated. An ethnographic narrative enquiry, which is the qualitative research methodology, was employed to gain insight into their lived experiences and perception towards VET. The themes that emerged from the findings were interspersed by focusing on a range of sociological theories. This study brings to the fore that injecting drug user has affirmative impression towards VET and understands the importance of VET but is not willing to study anymore. Participants’ perception understood earning money is more important than getting VET and they understood that it is too late to study and they are not able to study any more due to the use and abuse of drugs and their study habits have been destroyed by the drugs.